1. 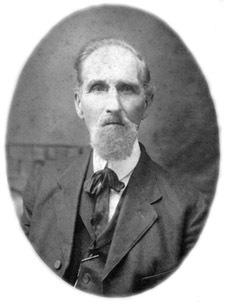 Moses Berkeypile, b. 20 Feb 1832, d. 21 Jan 1915, m. Elizabeth Riley, b. 22 Jun 1835, d. 4 Jul 1877. 2. George H. Berkeypile, b. 3 Apr 1858, d. 10 Jun 1941, m. Carolin (Callie) H. Long (Dau. of Jacob Long and Dora Elizabeth Straley), b. 1860, d. 1949. Both are buried in the Napoleon Cemetery, Napoleon, MI. 3. Dora Elizabeth Berkeypile, b. 28 Dec 1881, Marshall Co., IN, d. July 1978, Norvell, MI; m. c1900 to Charles Henry Pittman, b. 1879, Marshall Co., IN, d. 1946, Jackson Co., MI. Both are buried in the Napoleon Cemetery, Napoleon, MI. 4. Bertha Fern Pittman, b. 10 Feb 1909, Norvell Twp., Jackson Co., MI, d. 1940, MI; m. Harvey Ernest Blakeman, b. 1905, MI, d. 14 Feb 1960. 5. Dale Eugene Blakeman, b. Brooklyn, Jackson Co., MI; m. to Kaye Francis Moore, Jackson, MI (dau. of James T. Moore and Rose Marie Coffey). 6. Sherie Fern Blakeman, b. Vandercook Lake, MI; 1m. John Eley, div. ; 2m. to David Rogers Swarts, b. Williamsburg, VA.